What are the different electrical components that make up a solar array? If your PV system is not grid-tied, you will also require large batteries in order to store the electricity generated. Solar inverters (or grid-tied inverters) are a crucial part of a PV system. Inverters are units located inside your property – preferably in the loft – which convert the direct current (DC) power generated by your photovoltaic panels into alternating current (AC) power that can either be used by appliances or exported back to the grid. 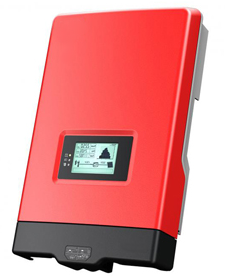 Ensuring that your PV installer installs a high quality and well matched inverter is essential, both for maximum system efficiency and in order to keep replacement costs (typically £1000 for an inverter) to a minimum. ‘ Micro inverters’ are useful when the panels of an array operate in varying light conditions; they are attached directly to the panels and allow for the monitoring of each individual panel. One of the main benefits of micro inverters is that if one inverter or panel becomes faulty, the other panels will still be able to function normally. The same applies if one panel is dirty or shaded – the others will continue to function optimally. 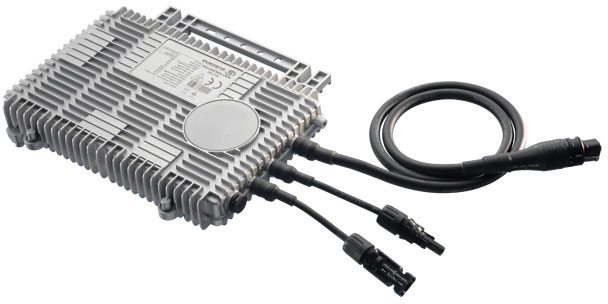 Micro inverters also tend to have a longer lifespan than string inverters but have the price tag to match. They are likely to add between £500 to £2000 to the price of an installation, however they have increased warranties of between 15 – 25 years, so some are claimed to be able to last just as long as the solar panels themselves. On the other hand, their being installed directly onto the PV panel, means that a repair might incur increased labour costs, along with the cost of any scaffolding that may be required to access them. As previously noted, since there are still relatively few micro inverter manufacturers, their cost is also much higher than that of a single string inverter. These technologies enable you to monitor the effectiveness, quantify output and detect issues with your solar array both locally and via the internet. In a residential or small scale installation, a smart hub or similar data monitoring and transmission device can be installed. 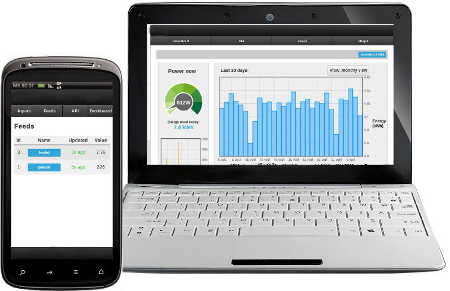 This will measure the output from your solar panel array and the energy usage from your home or business. Some models have the facility to transmit the data to a web server where you can monitor it from any internet connected device, anywhere in the world, enabling both live and historical reporting and predicted output forecasting. This functionality permits the users to see if a fault develops in the inverter(s) or identify a panel that is not performing as required and act accordingly. Some systems even switch on and off appliances in your home or business automatically, based upon the availability of the energy being generated by your Solar Panels. This functionality adds an element of automation to your energy consumption, decreasing your dependence on the national grid and further reducing your energy bills.